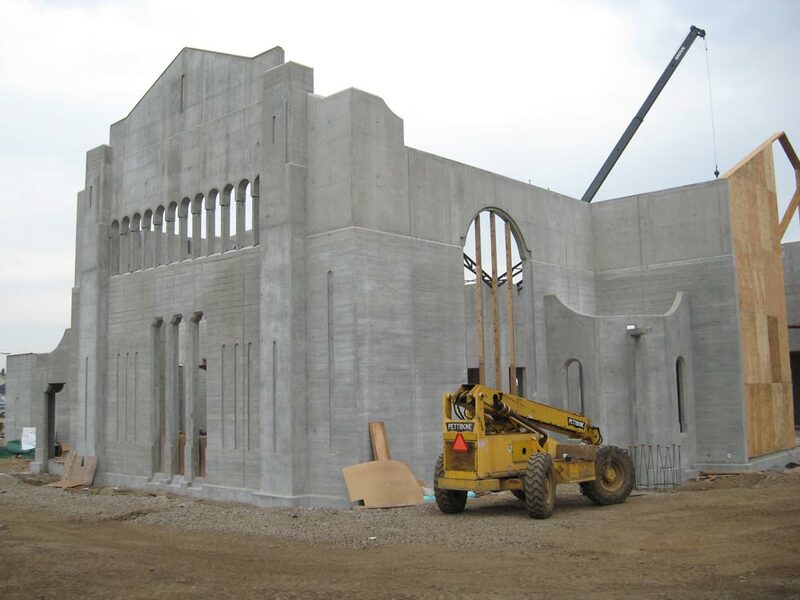 Holy Redeemer Catholic Church - Kramer Gehlen & Associates, Inc. 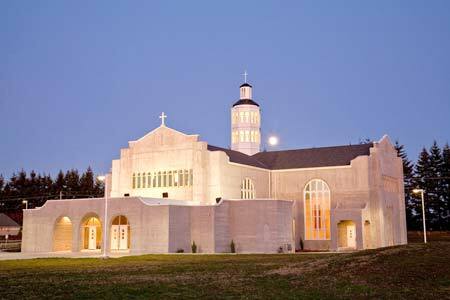 This project received a Grand Award from Washington Aggregate and Concrete Association. 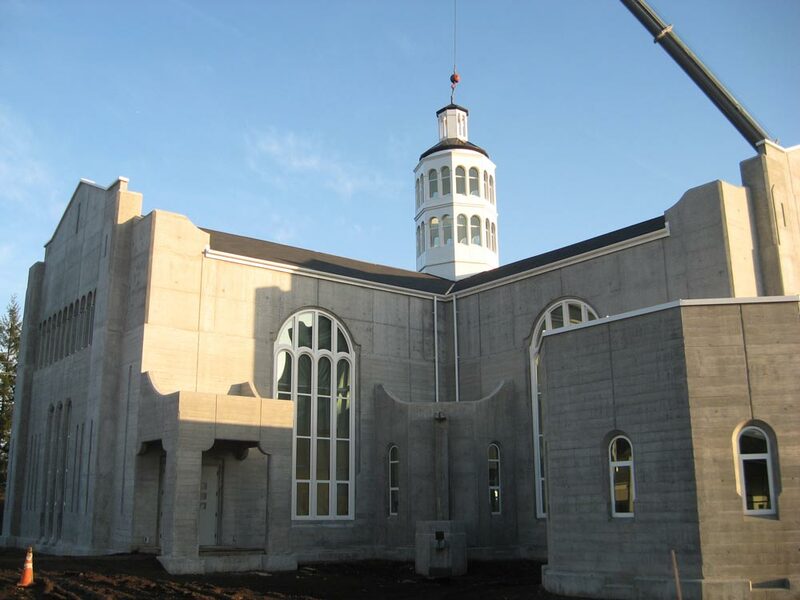 The 13,500 sf church utilizes reinforced cast-in-place concrete walls and a steel-framed and metal deck roof structure. The church floor plan takes the shape of a cross, with the main structure all at one level. 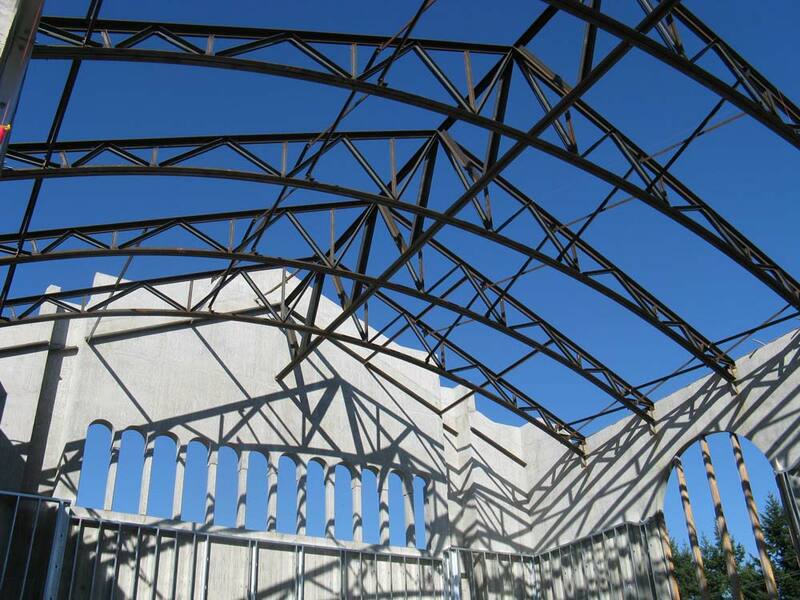 The roof has a steep pitch from a crossing ridge line at the center. 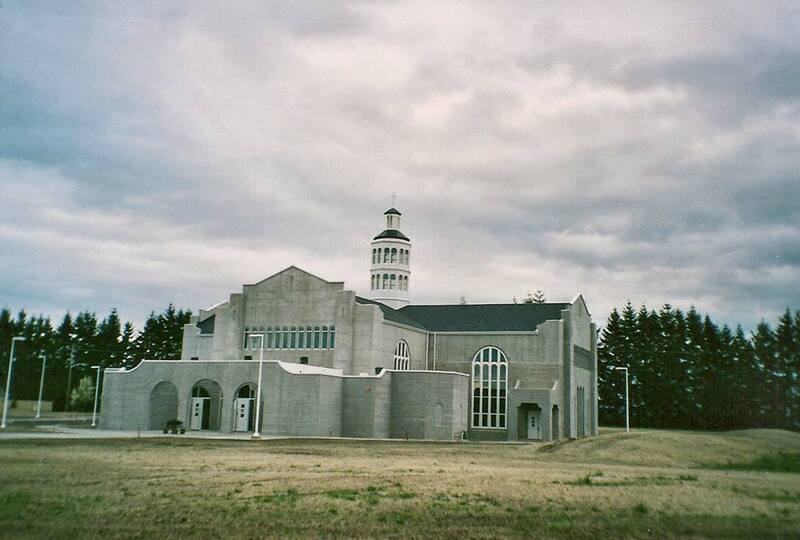 Where the ridge crosses, there is a steel framed and precast concrete steeple. The narthex and corner shrines are lower structures of similar construction with flat roofs.